Stuttgart Ballet’s new triple bill is an all-Stravinsky evening. Three choreographers – Marco Goecke, Demis Volpi and Sidi Larbi Cherkaoui – explored the exceptional composer’s music for their works. Two ballets are world premieres: Volpi’s “L’Histoire du Soldat” to Stravinsky’s suite from 1919 and Cherkaoui’s “The Firebird” to the Firebird-suite for orchestra, while Goecke presented a revision of his “Le Chant du Rossignol” originally created for the Leipzig Ballet in 2009. Goyo Montero is in his seventh season as artistic director of the State Theater Nuremberg’s ballet. Since then the Spaniard has established the troupe’s reputation – nationally as well as internationally. Last weekend’s ballet gala – the second since Montero took over the reins – gave ample proof that dance prospers in Middle Franconia’s largest city. 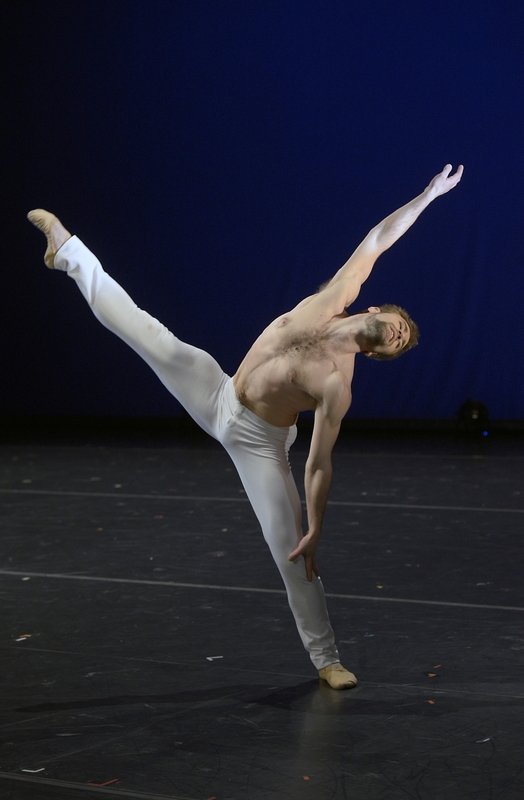 Montero, son of a ballerina and a dancing and choreographing father, studied at the Royal Conservatory for Professional Dance in Madrid and the School of the National Ballet of Cuba. Amongst others he danced with the Deutsche Oper Berlin and the Royal Ballet of Flanders. Solidly rooted in classical dance, Montero explores contemporary movement vocabulary in his choreography. This season his company, twenty-two dancers, many of them his compatriots, present works by Nacho Duato, Johan Inger, Ohad Naharin in addition to Montero’s own creations. In early July they will guest with “Cinderella” at the Chekhov International Theatre Festival in Moscow. Dance definitely has moved on from its former niche existence in Nuremberg! “Drei Streifen: Tanz”, Ballet Dortmund’s new triple bill, allows insight into the work of three different choreographers. The pas de deux “Closer” offers a glance into Benjamin Millepied’s artistic work. 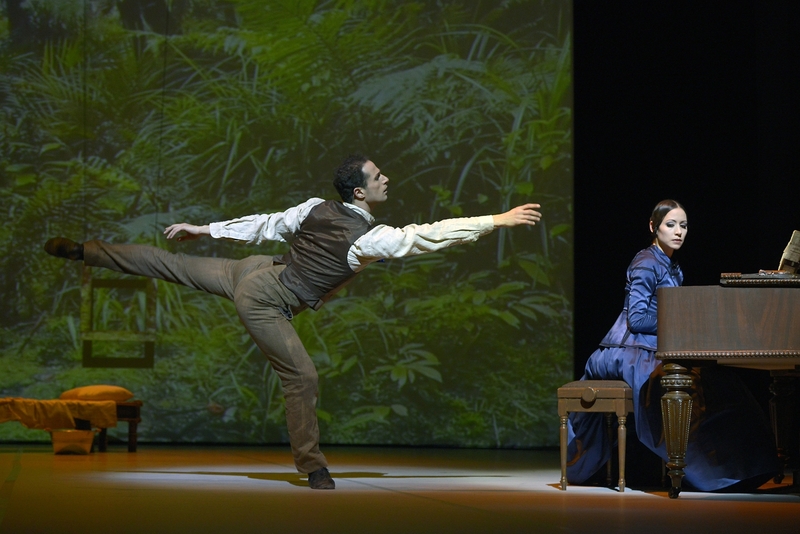 Stuttgart Ballet’s resident choreographer Demis Volpi presents himself with three short duos. The evening’s second half was reserved for Jiří Bubeníček’s new creation “The Piano”. “The Piano” is based on the movie of the same name by the New Zealand film director Jane Campion and has been awarded with – amongst others – the Golden Palm in Cannes in 1993 and an Oscar in 1994. Set in mid-19th century it is about a Scotswoman Ada McGrath, who, for whatever reason, has been mute since her sixth year of age. She expresses her inner life mainly through playing the piano. When Ada and her daughter Flora are forced into a marriage with the Britishman Alistair Stewart, a plantation owner living in New Zealand, the piano is the most important part of the luggage. The to-be-wed couple, however, has never met before. Alistair, at first disenchanted by his future wife’s appearance, doesn’t understand the piano’s importance. Seeming to be an unpractical object, it is left at the beach where Ada and Flora had come ashore.